One of my favorite foodie movie scenes is in Ratatouille, when a revered (and feared) restaurant critic takes a first bite of the titular dish. It transports him back to his childhood and his mother’s cooking, memories that reduce him to a puddle of emotions. Sure, we’ve all had good food. But memorable food is transformative, drawing up memories from deep in the well, or, in the modern age, compelling us to share on our Instagram feeds. In this issue, we introduce a new feature to our recurring lineup of expertly vetted and reported dining stories (Best Restaurants, Best Bakeries, etc. ): 100 Best Things to Eat. 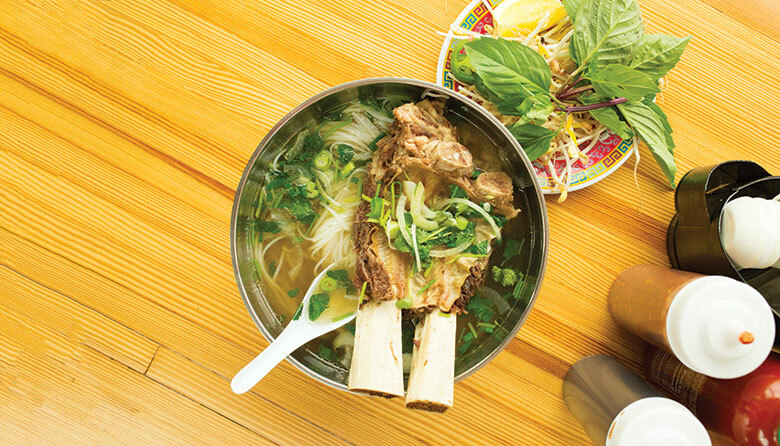 Dining and lifestyle editor Chelsea Lin and frequent contributor Naomi Tomky, with the help of our food-savvy editorial team, have compiled the ultimate bucket list for diners in the Seattle area. The dishes on the list—organized by mealtimes (including happy hour!) and including the 16 essential Seattle dishes—are the ones we keep coming back to. These are the types of dishes that, when you first taste them, make you feel like you’ve uncovered a best-kept secret. Many of the dishes have put their restaurants on the map. And, lucky for us, they are almost always on the menu in Seattle’s rotating world of seasonal eating. This month, the food on these pages will come to life at our 11th annual Seattle Wine and Food Experience (SWFE), where you can taste bites of many of them. Our stellar events team has expanded the experiences offered during this long weekend since we acquired SWFE three years ago from its founder and food and wine promoter extraordinaire, Jamie Peha. It’s now a multiday experience, with a different focus for each event. SWFE kicks off with a celebration of feel-good food and craft brews at Comfort on Thursday, February 21; Friday is Pop! (one of my favorites), which, as the name suggests, is all about bubbles (of the sparkling wine and Champagne variety) and seafood. The Grand Tasting on Saturday requires a road map to help you cover the vast amount of food experiences you can have here. I’m especially excited about the new Seattle magazine lounge at the Grand Tasting this year, where you can taste a selection of dishes from the story in this issue, including bites from Ba Bar, Copine, No Anchor, Off the Rez and Raised Doughnuts (oh, those tangy sweet raspberry doughnut holes!). New to the SWFE weekend is Sunday Supper, on February 24. You’ll want to secure your tickets early as it will be a smaller, more intimate evening that brings together a handful of some of the hottest restaurants for a sit-down dinner; each chef will create a course that tells a story about that person’s journey as a chef. After dinner, you will be able to meet and mingle with the chefs at the after-party, with—you guessed it—more food. Late-night snacks and music into the night will wrap up the festivities. See more about this event here and visit seattlewineandfoodexperience.com for tickets and information on how you can win tickets to some of these events. There are so many dishes I’m obsessed with in town (many of which ended up in this inaugural edition of the story), but the one that I always come back to is so simple yet impossible for me to re-create at home: the giant slab of bread at Brimmer & Heeltap. Butter, salt, pepper on a hearty rustic slab (and I mean a 3-inch slice) comes grilled to perfection and served with a serrated knife (you will need it). It will seriously tempt the most disciplined eater to stray from their no-carbs rule. What’s on your list? Share it with us on Instagram and tag it #seattlemagbestthingstoeat.